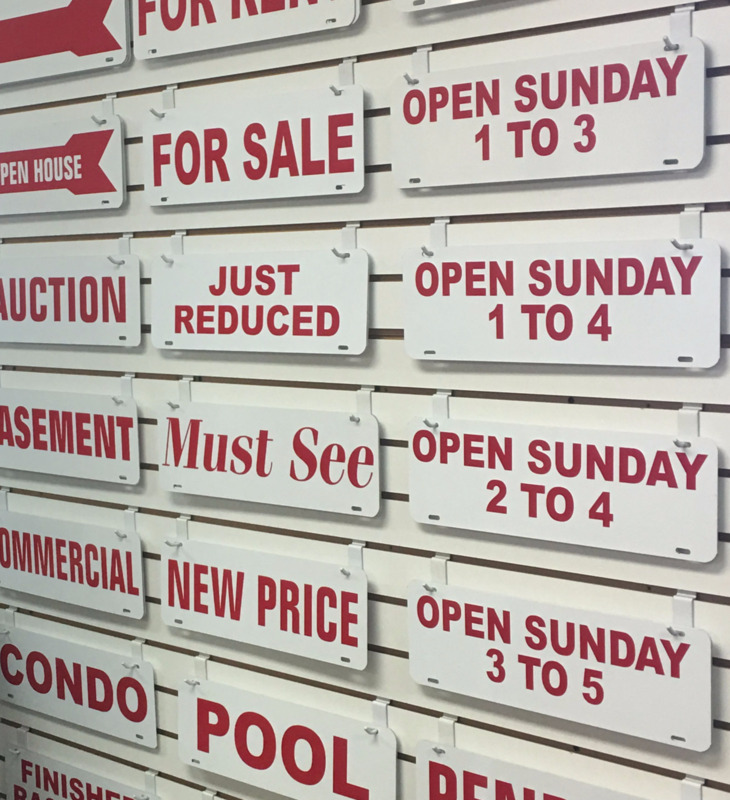 Large format printing for bold, brilliant real estate signs. Stand out in a competitve marketplace. 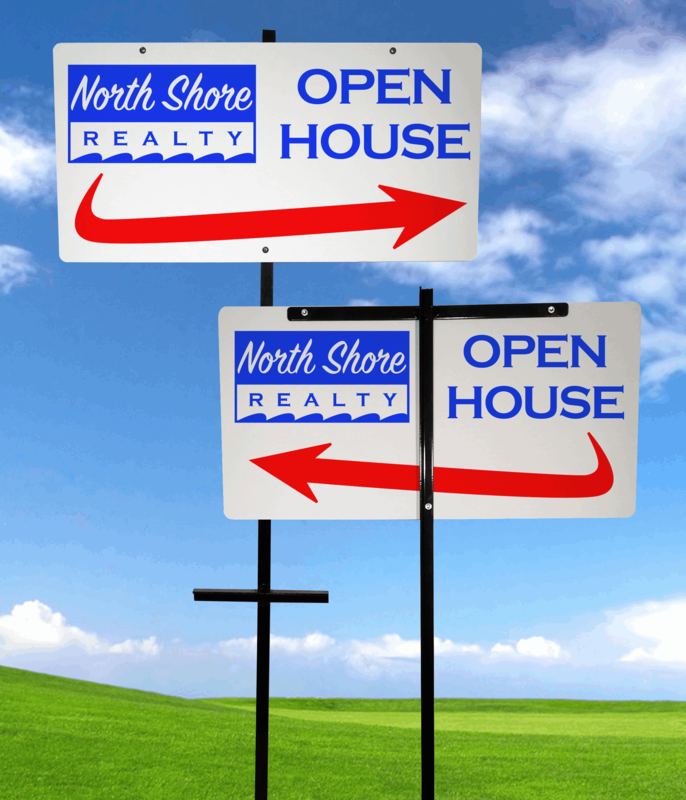 Let GraphX Direct design and manufacture your next real estate sign. 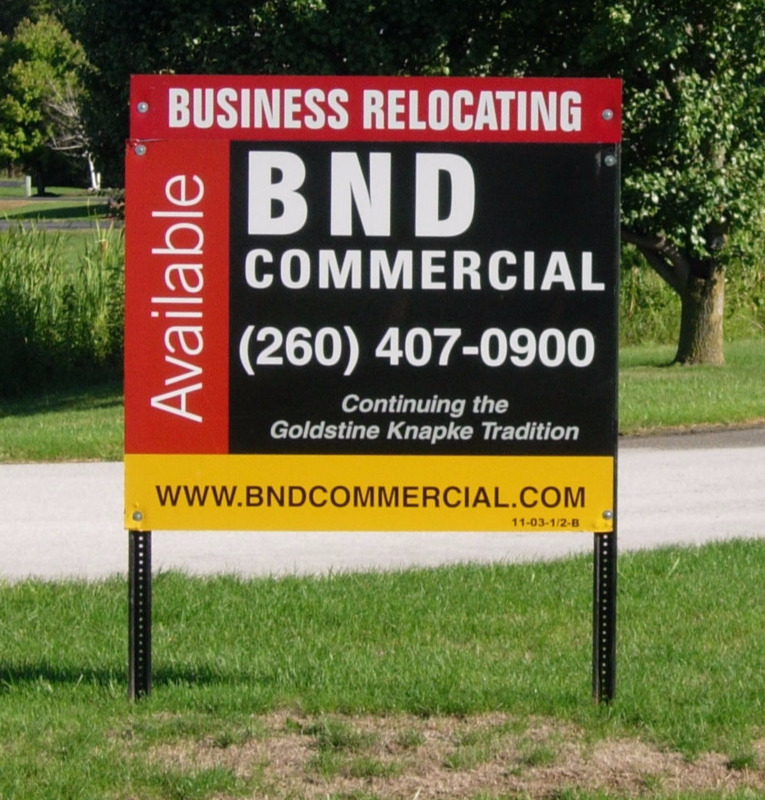 We offer traditional stick-in yard signs, economy signs and directional signs. Our sign panels and frames are fabricated in-house. 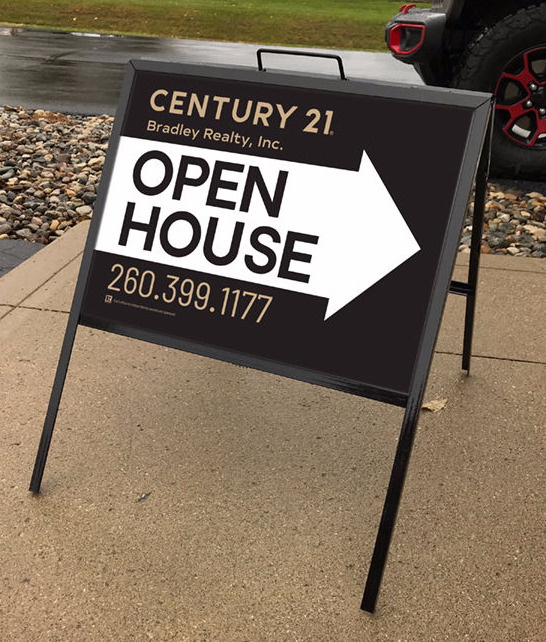 Or choose a post sign and take advantage of our Placement Services to have your sign professionaly installed at your listing. Come complete with panel bolt assembled into a premium frame. Panels are full color graphics laminated to aluminum composite material (ACM). Assembled into an in-house fabricated 1-inch angle iron frame featuring a powder coated finsh. Lighter weight frames with slots allow frequent or effortless changes of your messaging. 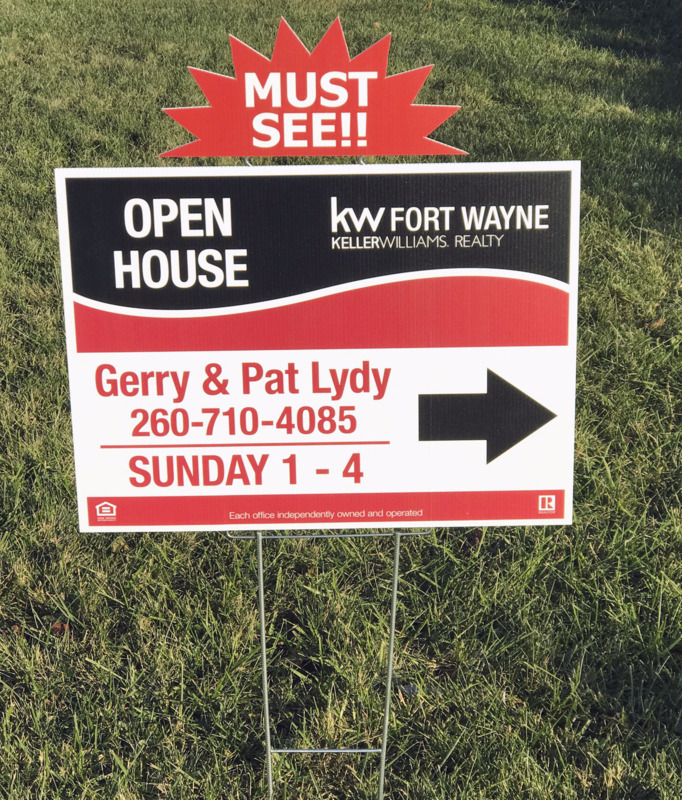 Choose from two styles for yard sign placement, or a folding A-frame for a place anywhere mobile sign. Light weight and economical, corugated plastic, Cor-X, signs are perfect for short term promotion, custom cut shapes and directional arrows. Full color graphics laminated to aluminum composite material (ACM) provide hard-to-miss, eye-catching directional signs. Rectangular, arrow shaped or custom shaped sign is bolted to an easy to place "T-Bar" stand. We produce message riders in 3 different sizes and in one color or full color designs. Stop in and pick-up a message rider from our stock riders or give us 3 days to make your full color custom rider. Riders come with bolts and lock nuts. JW Signs has been expertly producing and installing commercial sign panels for over 15 years. 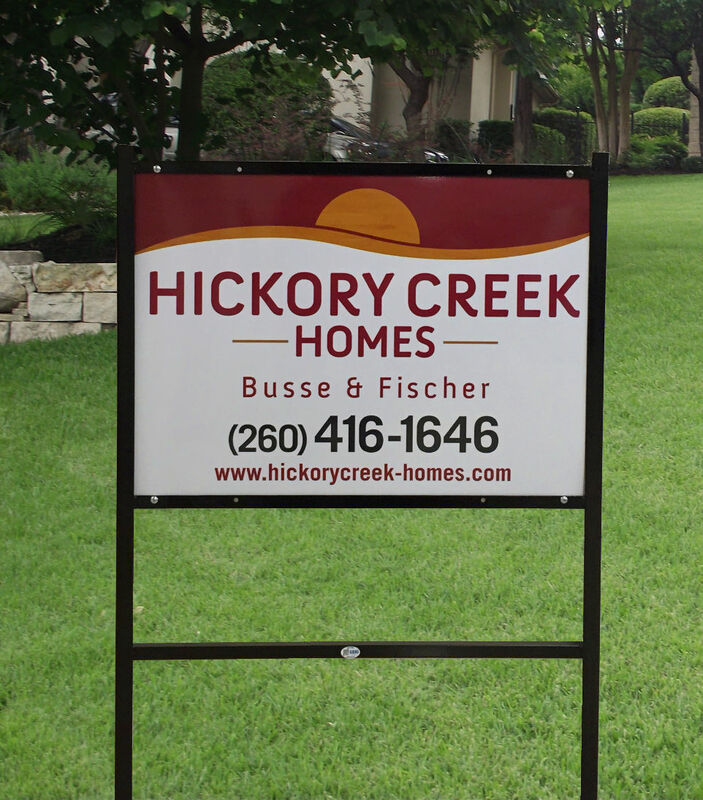 We will work with you to design an effective sign and install program for one sign or 100. We provide posts, panels and storage and even custom riders. See our commercial sign options.